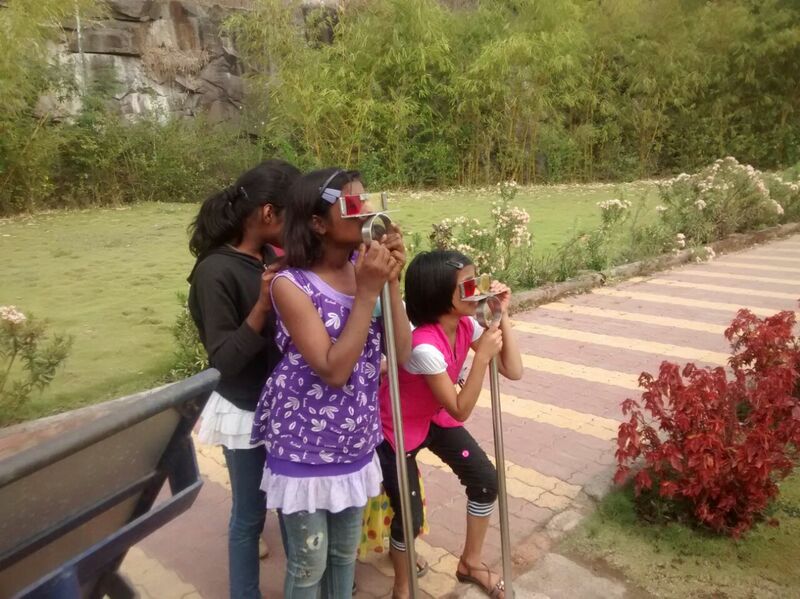 The science trip was conducted as a part of celebration of National Science Day on 28th February,2015. About 55 students of Maher accompanied by about 13 volunteers were a part of the trip. Out of 55, around 5 had participated for an oration competition on the topic describing their favourite scientist. The science centre comprises of two two floors. The first floor included automobile components and the kids could see the working of it’s various parts. The second floor consisted of two sections: one on fun science and the other on new upcoming topics and energy.Apart from these many other scientific theories were explained in easy to grasp practical models.All in all it was a wonderfull experience for the kids and the volunteers alike that spread knowledge,fun and bonding.